3700 US Hwy. 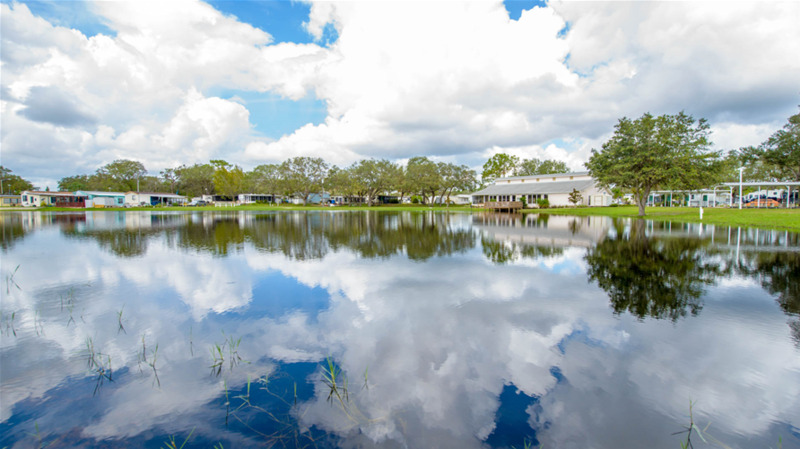 17/92 N.
When you want small town charm and exciting attractions, then head to Kissimmee South RV Resort, one of the coziest RV Parks near Disney World! Our 347 sites are nestled amongst tree groves where you just might spy cranes, ducks, turtles and even the occasional alligator. 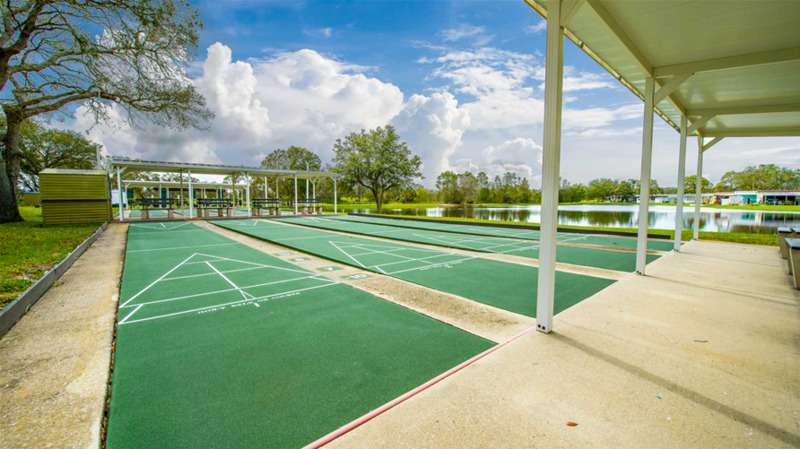 While outdoors, spend a little time playing on our shuffleboard court, horseshoe pits and our challenging miniature golf course, or take a swim in our gorgeous heated swimming pool. For anglers, our grounds feature three catch-and-release fishing ponds. In season, we fill our social calendar with activities including bingo, potlucks, campfire socials, and movies shown with our big screen projector. For your convenience, our grounds features a laundry rooms, two bathhouses and a spacious clubhouse perfect for rally events. Happy campers keep returning! Check our ratings. Shaded and sunny sites with beautiful views from Mouse Mountain. Super restrooms are squeaky clean! Quiet and friendly resort with some pull-thrus and 30/50 amp service. Complete facilities with a pool, rec hall and activities. Close to all attractions. AAA discount offered. 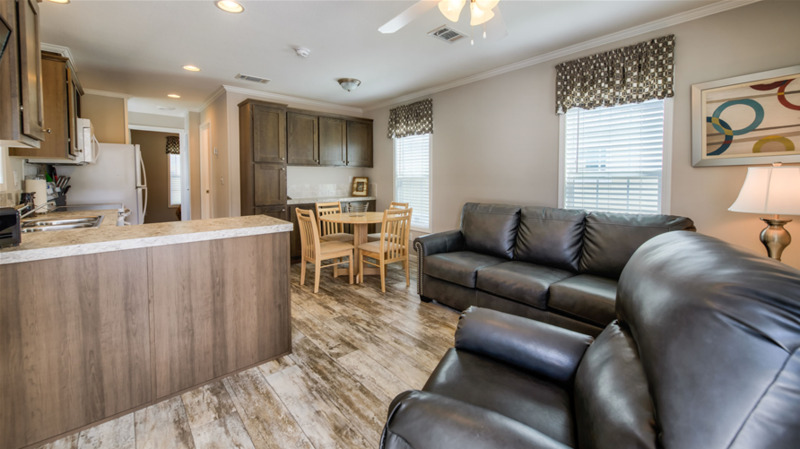 We offer pull-thrus with cement slabs and patios, propane, a pool, park model rentals, clubhouse, activities, 30/50 amp service, full hookups, laundry, fitness center, fishing lake, telephone hookups and are handicap-accessible. Well maintained, family-owned and we are close to major attractions. Our customers are important to us. Pets up to 20 lbs. are welcome. 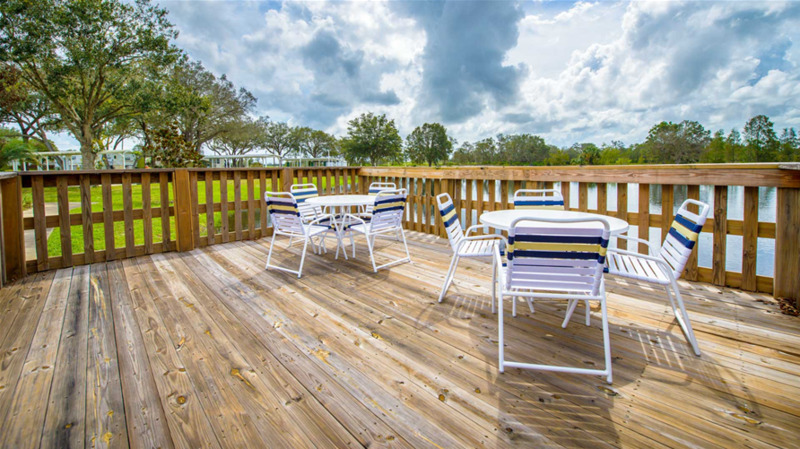 Enjoy close-to-everything convenience with an away-from-it-all feel at Orlando Southwest KOA. 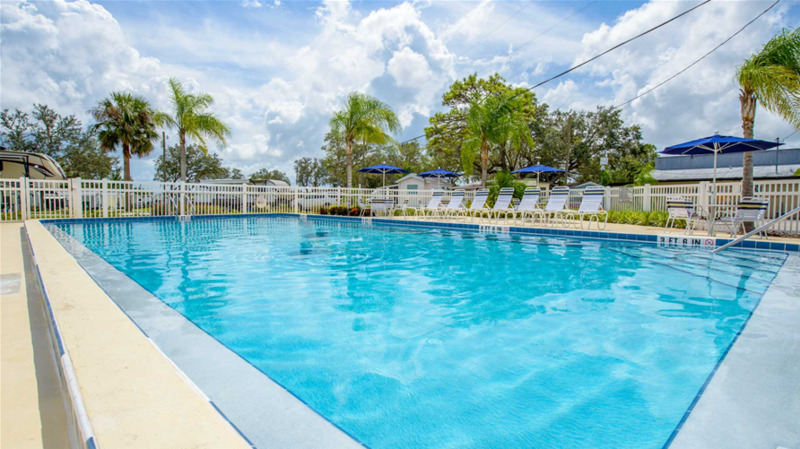 Located in the heart of Central Florida, this KOA offers easy access to the area’s best known attractions while still offering camping convenience and charm. 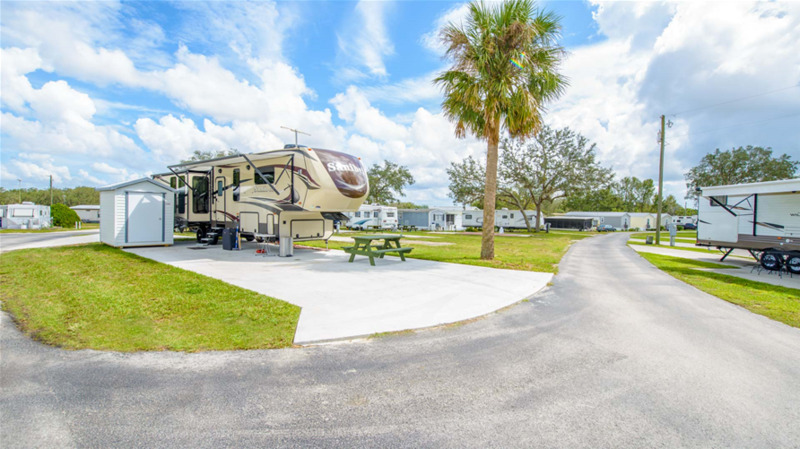 Nestled among palms and oaks, spacious pull-thru RV sites offer cable TV, Wi-Fi and cozy fire pits. Just 5 miles to Walt Disney World® and close to all major attractions. 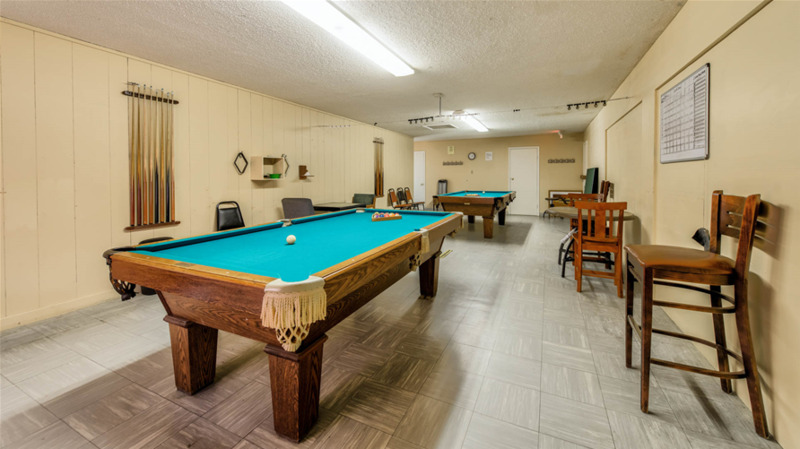 Amenities include a heated pool, kiddie pool, cafe, general store, shuffleboard, horseshoes, volleyball, game room, wireless hot spots and more! Vacation cottage rentals available. Enjoy a 52-family-themed weekend or go for a stroll to Old Town. Tropical Palms is far from the ordinary but close to the magic. 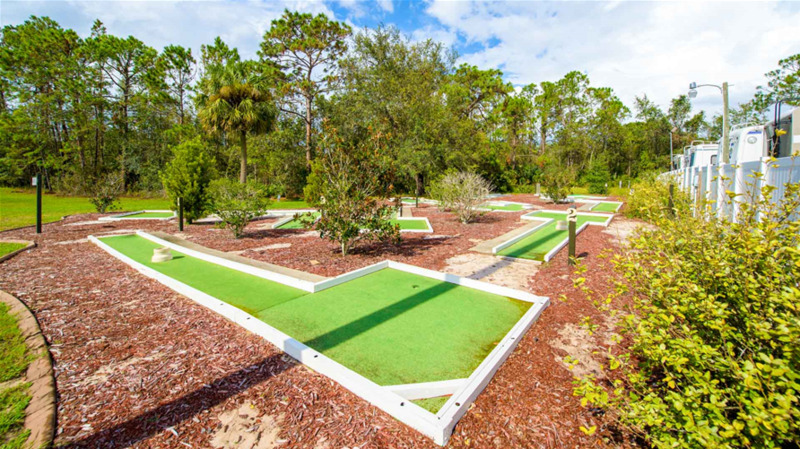 Located just 4 miles from Walt Disney World®, Sherwood Forest boasts a spectacular clubhouse, newly renovated swimming pools and spa, miniature golf, a fitness center, ping-pong, shuffleboard, chess, tennis courts, basketball, rec hall, tiki bar, planned activities, free Wi-Fi/cable and so much more! Resort cottage rentals are also available! Located in historic Kissimmee, you can walk to some of the best restaurants, bakeries and outlet stores. Disney World®, Universal®, Sea World® and Old Town are only a short drive away. Make reservations today. This is definitely a family-friendly park, so bring the kids! Sites for RVs, motor homes, campers and tents. Many amenities including a pool, activity hall and 30/50 amp service. Location, location, location. 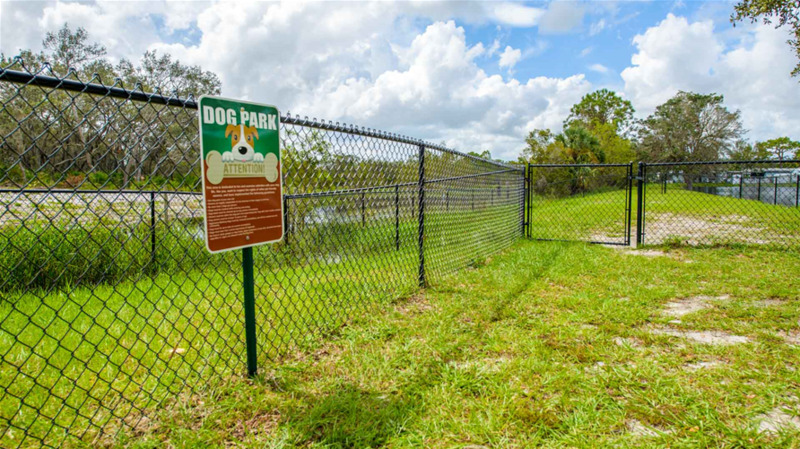 This campground is just minutes from the action of Central Florida including Walt Disney World Resort®, Universal Studios®, SeaWorld®, Gatorland®, LEGOLAND® and more. After a busy day at the parks, come home to this beautiful KOA. Tent sites are close to the pool and restrooms. Furnished Deluxe Cabins offer the comforts and convenience of home.